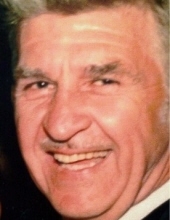 Arthur Vernon “Grit” Creekmur, 82, of Decatur, passed away Wednesday, January 30, 2019 at Imboden Creek Living Center with his daughter by his side. Arthur was born October 28, 1936 in Forsyth, Illinois the son of Lawrence Emerson and Golden Cleo (Koehler) Creekmur. He proudly served his country in the U.S. Army. Arthur retired from Firestone after more than thirty years of service. He was an avid golfer, bowler, hunter, and fisherman and enjoyed helping others. He had an infectious laugh, an unparalleled zest for life and held his daughter and grandson close to his heart. A friend to all, he never missed a chance to brighten someone’s day. Arthur married Delores Davis in June of 1961. She preceded him in death on March 5, 1996. Arthur is survived by his daughter Lana Salomonson and husband Scott of Springfield, Illinois, grandson Phil Kains and fiancé Christy Hart of Oxford, Mississippi, and brother Lloyd Creekmur and wife Mary, and sisters Rosie Davis and Mary Ethington and husband Happy. Arthur is preceded in death by his parents, wife, brothers Dale and Lee Creekmur, and sisters Ferne Bellatti and Nadine Matthews. Service to celebrate Arthur’s life will be 11:00 AM Saturday, February 9, 2019 in the Dawson & Wikoff North Chapel. Burial with military honors will be in Macon County Memorial Park. In lieu of flowers memorials are suggested to the Imboden Creek Living Center. "Email Address" would like to share the life celebration of Arthur Vernon "Grit" Creekmur. Click on the "link" to go to share a favorite memory or leave a condolence message for the family.